Our Indianapolis used car dealership pays top dollar for used cars, trucks and SUVs, so come get the fair price you deserve. And don't worry -- you won't be pressured to buy a new Subaru in return when you sell your used car to us. If you want, you can just walk away with the cash! Our quick and easy process allows you to sell us your car and receive exactly what you're looking for in return. Tom Wood Subaru will bring in a professional appraiser to value your trade, and we'll even provide a free CARFAX® Vehicle History Report, so you won't have to worry about digging up your vehicle's past. 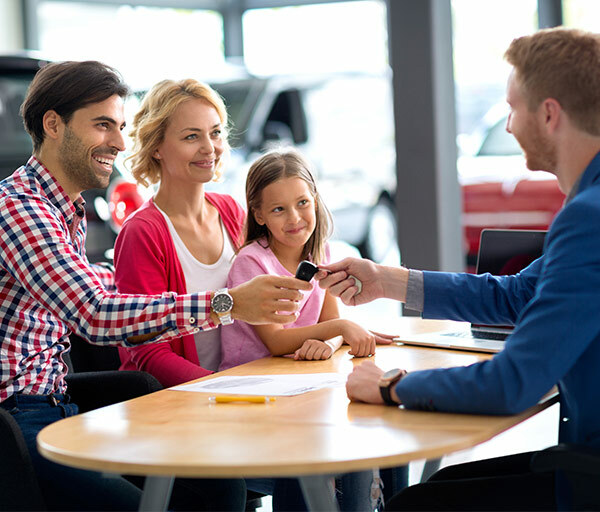 We'll also research the Kelley Blue Book value for your vehicle and show you the results -- our sales process is transparent, so we believe our car-buying process should be honest and open as well. Tom Wood Subaru is always looking to grow our inventory of used cars, and we're also devoted to offering our customers excellent savings on a vast selection of trucks, cars and SUVs from major brands like Ford, Jeep and Chevrolet. At our Subaru dealership in Indianapolis, IN, we provide our clientele with not only new Subaru options, but also exceptional used vehicles from other makes at affordable prices you'll love. We strive to be your No. 1 choice when you’re looking to sell your used car, so visit us today and we'll buy your used car with an offer you won't be able to refuse! Tom Wood Subaru proudly serves the Indianapolis area and is the ideal dealership for selling your used car. When you’re ready to switch up your ride, you can browse our inventory, show us your used car and we’ll work hard to determine an option that works best for you. Whether you’re trading in or just want to sell your used vehicle for cash, bring your car to Tom Wood Subaru today!